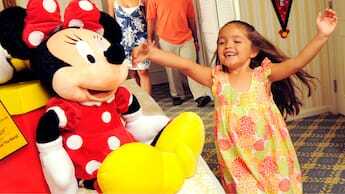 What items are not permitted at Walt Disney World Resort? What areas of Walt Disney World Resort permit smoking? 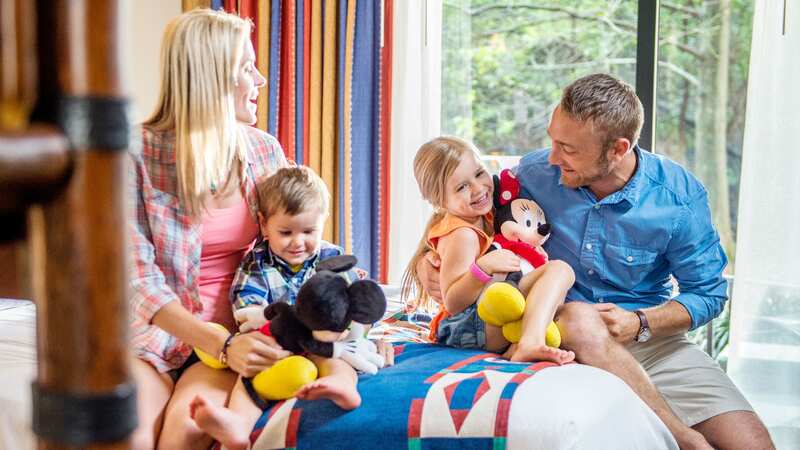 Are Guests permitted to have firearms, ammunition or weapons in Disney Resort hotels or Disney Vacation Club Resorts? What should UK or IE citizens know about traveling to the United States? Do I need to present a passport or photo ID when I check into a Disney Resort hotel? Victorian elegance meets modern sophistication at this lavish Disney Resort hotel. Relax in the sumptuous lobby as the live orchestra plays ragtime, jazz and popular Disney tunes. Unwind outdoors, indulge in a luxurious massage and watch evening fireworks light up the sky over Cinderella Castle. Just one stop to Magic Kingdom park on the complimentary Resort Monorail, this timeless Victorian-style marvel evokes Palm Beach’s golden era. Make a splash at Beach Pool! Breeze down the 181-foot-long waterslide as it curves down the mountain, zips past trees and slips under a walking bridge before plunging you into the pool. Sunbathe in a poolside lounge chair, or rent a plush cabana for added luxury. Steps from the white-sand shore of Seven Seas Lagoon, Beach Pool features a gently sloping entry similar to that of a natural beach, plus a water play area for little ones. Or, relax at Courtyard Pool, the all-ages quiet pool that includes an adjacent kiddie pool and whirlpool spa. Learn more about recreation at Disney’s Grand Floridian Resort & Spa. From elegant Signature Dining to feasts with Disney Characters, savor superb American cuisine. Join some favorite Disney Characters for a festive breakfast buffet at 1900 Park Fare. Later, delight in a delicious lunch at Grand Floridian Café or a relaxing afternoon tea at Grand View Tea Room. For dinner, enjoy enchanting evenings of culinary mastery in the romantic dining room of Victoria & Albert’s, the airy waterfront pavilion of Narcoossee’s and the bustling Mediterranean onstage kitchen of Cítricos. Learn more about dining at Disney’s Grand Floridian Resort & Spa. Invigorate your mind and body at this retreat reminiscent of a serene Floridian garden at the turn of the 20th century. Utilizing therapeutic and revitalizing techniques, Senses – A Disney Spa boasts a soothing confection of unique therapies—facials, massages, body wraps and aromatherapy—designed to elevate the mind and have you looking and feeling your best. Guests staying in Club-level rooms and suites are eligible for personalized vacation-planning support. Make your vacation more unforgettable with a personalized in-room celebration—featuring gifts, treats and décor. Book with Walt Disney Travel Company for Arrivals 1st Jan - 3rd October 2020! For assistance with your Walt Disney World visit, please call 0800 028 0778 (UK) or 1800 812 678 (Ireland). FPO: By clicking "Continue" you will be leaving Walt Disney World and will be redirected to Hong Kong website to purchase Hong Kong Disneyland Park Tickets from Hong Kong International Theme Parks Limited. FPO: By clicking "Continue", you will be leaving Walt Disney World and will be redirected to Hong Kong website to make hotel reservations at Hong Kong Disneyland Hotel and/or Disney's Hollywood Hotel managed by Hong Kong International Theme Parks Limited.